Caledonian Maritime Assets Limited (CMAL) has commissioned ground investigation work at Tarbert (Harris) as part of the infrastructure upgrade project to prepare for the new dual fuel ferry. The work is required to obtain a more detailed understanding of ground and seabed conditions. A ground investigation contractor, appointed following a competitive tender process, will be on-site at the harbour from Thursday 22nd March. They will initially build a jack-up barge, which will be used to carry out drilling over water. There will also be a limited amount of investigation drilling in the marshalling area and adjacent to the terminal building. The drilling is due to commence on Monday 26th March and last for around four weeks, with work taking place during the day from Monday to Saturday. The ground investigation work is needed to inform the detailed design of the infrastructure improvements at Tarbert (Harris) for the new dual fuel ferry currently being built to serve the Skye triangle route. It forms part of our overall infrastructure project to identify upgrade requirements at the harbours at Tarbert (Harris), Lochmaddy and Uig. 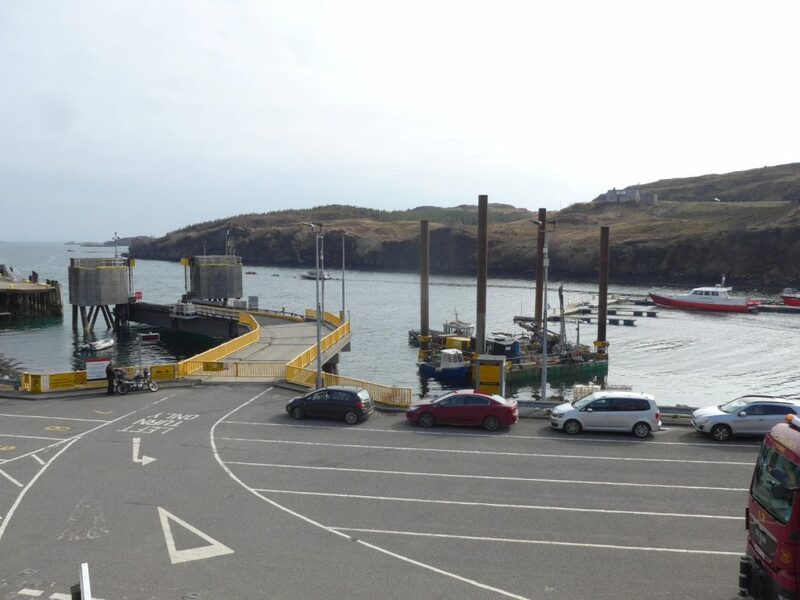 Islanders and visitors will notice the contractor in the area with the jack-up barge, but the work will have no impact on ferry services, which will operate to timetable as normal. 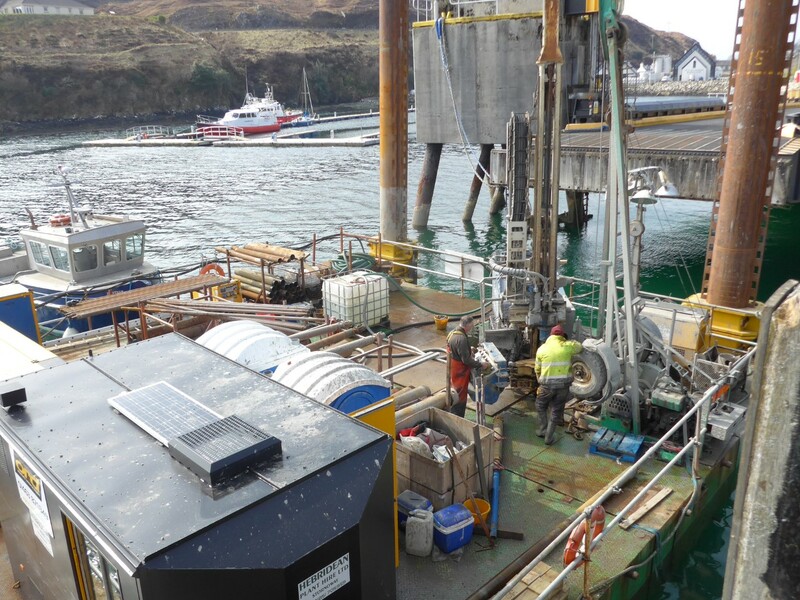 CMAL, which owns the harbour at Tarbert (Harris) is working in partnership with Comhairle nan Eilean Siar and The Highland Council, as owners of the ports at Lochmaddy and Uig, to investigate infrastructure improvements at the Skye triangle harbours to optimise operations. In addition to its pier and harbour facilities, CMAL owns 32 ferries. All 32 vessels are leased to CalMac Ferries Ltd for use on ferry services on the Clyde and Hebrides. In addition, two ferries are currently under construction.